It’s just basic table banter in New Orleans to talk restaurants, chefs, and dining during any (or every) meal. If there are cooks at the table, the conversation can quickly turn to cooking gadgets (Spiralizer anyone?) and ingredients -- specifically where to find this spice or that rice -- that are elusive, unique, and exotic. 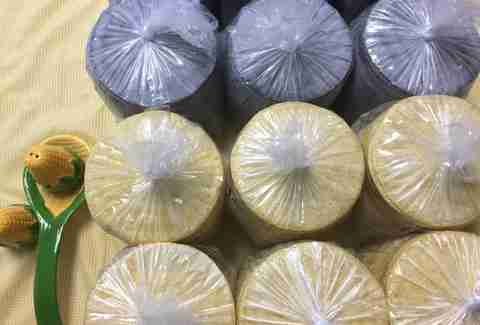 By now, most local food fanatics have hit Hong Kong Market on the Westbank to get fish sauce or fresh, locally grown herbs (they have purple and green shiso! ), rice noodles, and more for recreating pho. They’ve likely meandered out to Metairie’s International Market to shop through the store’s enormous stash of Indian foods (frozen and shelf-stable), spices, curry pastes, and chutneys to do an at-home feast. Yet, there are new flavors on the culinary scene that have become the subject of some serious table talk. New Orleans has historically had a lot of love for Latin cuisine, with a substantial population and many Central and South American restaurants already in place in suburban Kenner and New Orleans Westbank. In the days following 2005’s hurricane, an even larger number of Latino people arrived to help with the city’s rebuilding efforts. These folks brought with them a little taste of home for comfort and sustenance. To continue feeding family, workers, and locals who developed a taste for deeper, homier flavors of Central and South America, more specialty stores opened across Metro New Orleans: small convenience stores to serve a neighborhood, and larger stores with even more products, herbs, and specialty ingredients (cuts of meat like tongue, pork skin, and tripe) to accommodate restaurants, chefs, and the dining/cooking community at large. A couple recent meals at newly opened Meril (an intriguing culinary tour of ramped-up street food with a noticeable Latin flare via cumin-dusted turkey necks in mojo and Brazilian cheese bread); and Del Fuego (straight-up Mexican-style goat stew and red posole) fueled a desire to find these harder-to-find ingredients. Chefs at both restaurants discussed a growing number of small Latin markets, which fuel their culinary fires. We sat down with Chef Wilfredo Avelar -- Meril’s chef de cuisine and native son who has Salvadoran roots, once lived in Costa Rica, and practices Capoeira (Brazilian martial arts) -- and Chef David Wright, chef-owner of Del Fuego and New Orleans transplant from California with long-standing love for Mexico’s food and culture. 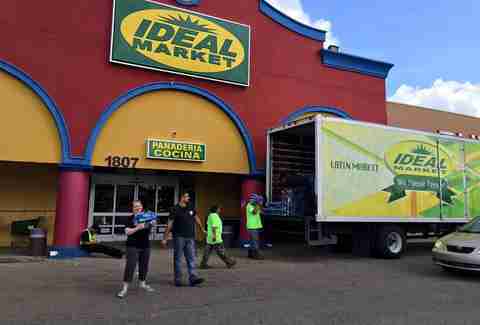 Both shop for ingredients at the city’s Latin markets, most of which are in Kenner. These smaller shops sell produce, fresh meats, foodstuffs, and homemade prepared foods including curtido, pasteles, pastries, and tamales. Most of the time, though, the chefs shop at the bigger places, which tend to have a broader array of products. With several locations around the Metro area (the giant one at Airline Dr is a sight to behold), these stores carry great produce, condiments, and cheeses and a hot line of prepared foods, bar none. When there is “pollo con coco,” get it. Chef Will hits this store for culantro (long, bright green, serrated leaves) for making his “sofrito” and to add flavor to the broth for the masa in his tamales. Chef Dave also hits up Ideal Market for produce, specifically fresh yucca and other starchy tubers. He loves the epazote, banana leaves, and “Real Oaxacan-style cheese, but get the one from the meat counter, not the pre-packaged kind. It’s amazing.” His impulse items are Apple soda (“sweet, but *so* good”), the house-made “bolillo”(Mexican baguette), and “odd snacks” like Takis mini rolled corn tortilla chips. 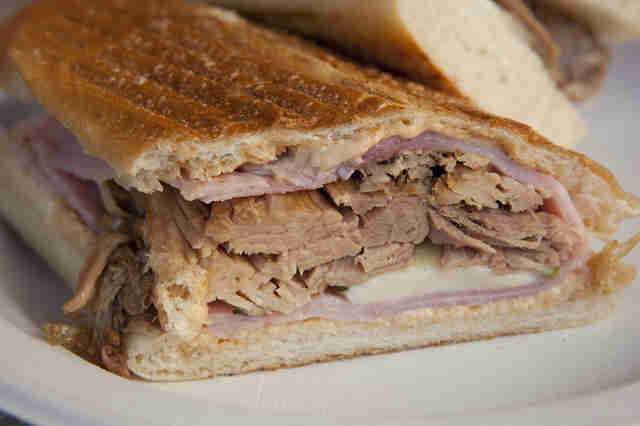 The original store in Kenner has long been known for Cuban sandwiches, Cuban breads, and other treats. 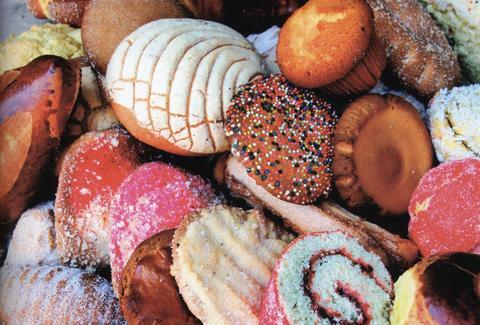 You’ll find Mexican pastries such as pan dulce, flan, dried fruit inside puff pastries, and even a guava-filled king cake. 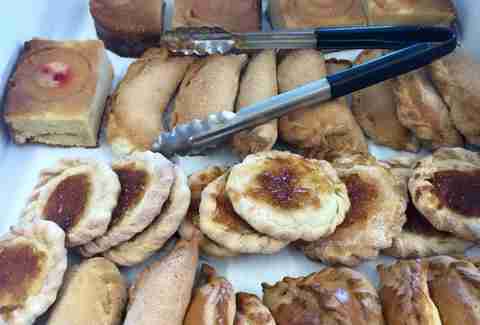 The guava and cream cheese pastries and savory hand pies have also gotten nods from the chefs. A second location on Bienville in Mid-City is larger with a bakery, hot foods, and full-on grocery store. Both Chef Will and Chef Dave pick up flours, house-prepared tamales, fresh herbs, and spices such as Aleppo pepper. A bit off the beaten path, this is a smaller store with plenty of shelf stuffs for your everyday needs. Be sure to check out the countertop hot case, which has a number of prepared tamales in different South and Central American styles, like Honduran and Nicaraguan nacatamal with various combinations of pork, raisins, capers, potatoes, and olives; Cuban tamales dotted with bits of cubed pork; or tamales de elote, sweet with fresh corn and topped with buttery crema. 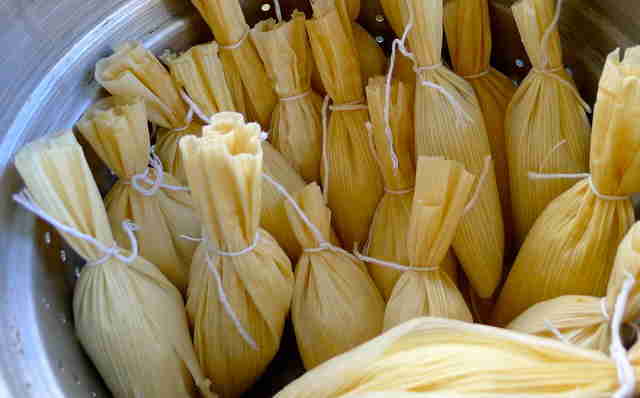 Get one of whatever is on hand (we’ve gotten as many as eight) and have a tamale feast. Another popular Kenner market with notably great hot food, a standout meat department, and insanely crisp, fatty, and fantastic freshly made chicharrones. A great to-go lunch (or dinner) can come together from the hot line, which is filled with marinated and grilled pork chops, thin steaks, and sometimes stewed goat. You can also order sweet plantains, starchy boiled yucca with tart Mojo Criollo sauce, garlic and onions, and rice. We go for the congri -- beans and rice cooked together. Chef Will orders tortillas from Mawi Tortillerias, where warm corn tortillas are made fresh every day. Mawi has a storefront with freshly made and chilled tortillas for retail purchase, along with bags of chips and some homemade salsa to take home. Mawi also offers one free pound of tortillas for every 10lbs purchased -- get ready for your next fiesta. Chef Dave nixtamalizes masa to make his own tortilla dough and gets up early to make tortillas, lots and lots of tortillas, on his own machine. ‘Nuff said. Lorin Gaudin is an intrepid eater, drinker, finder, and writer of all things delicious. Follower her as she devours New Orleans at @NolaFoodgoddess.